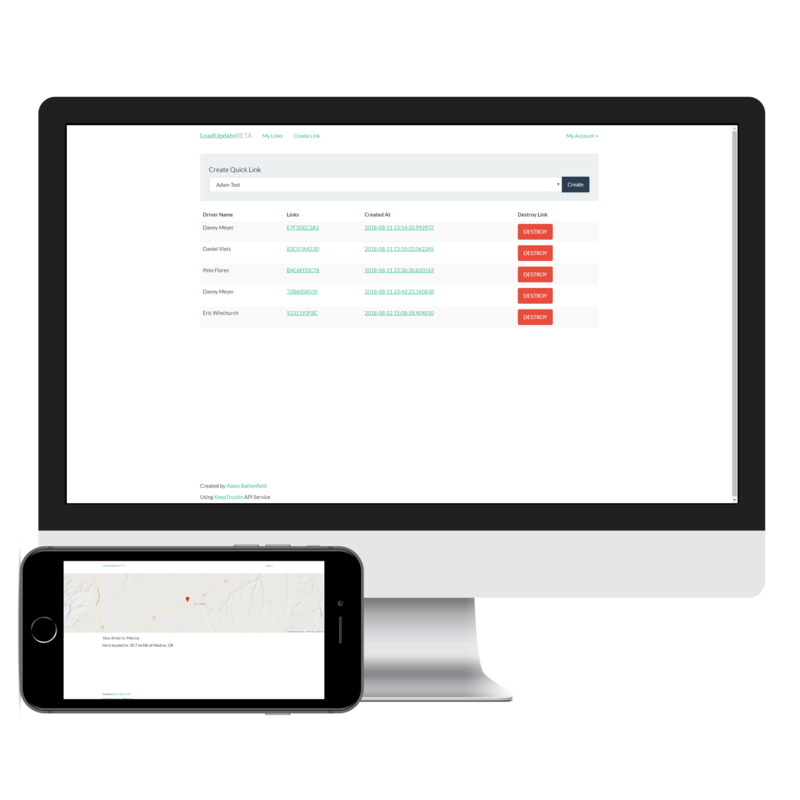 We offer a service that allows you to share your or your drivers' location easily, on your terms. To see a demo click here. Working with KeepTruckin™ Electronic Logging Devices. Our service is free.The only requirement to use it is a KeepTruckin™ Electronic Logging Device connected to a cellular device. Easy to use.One click links. Create dynamic unique links with one click, share that link with shipper, broker, receiver or anyone. Ease of use was in our minds when creating this service. Time is money.Don't waste it. We know your time is vaulable. Our goal is to save time by cutting down on check calls in hopes to let the driver do their job safely.